Vanilla bean buttercream is a quick and easy frosting that is a staple recipe in my kitchen. I can’t tell you how many times or kilograms of this frosting I have made in my time but it never fails me. I have always been a big believer in salted butter, and find this balances the sweetness of the buttercream, making it a wonderful mixture of sweet and salty. My personal favourite is Western Star butter. 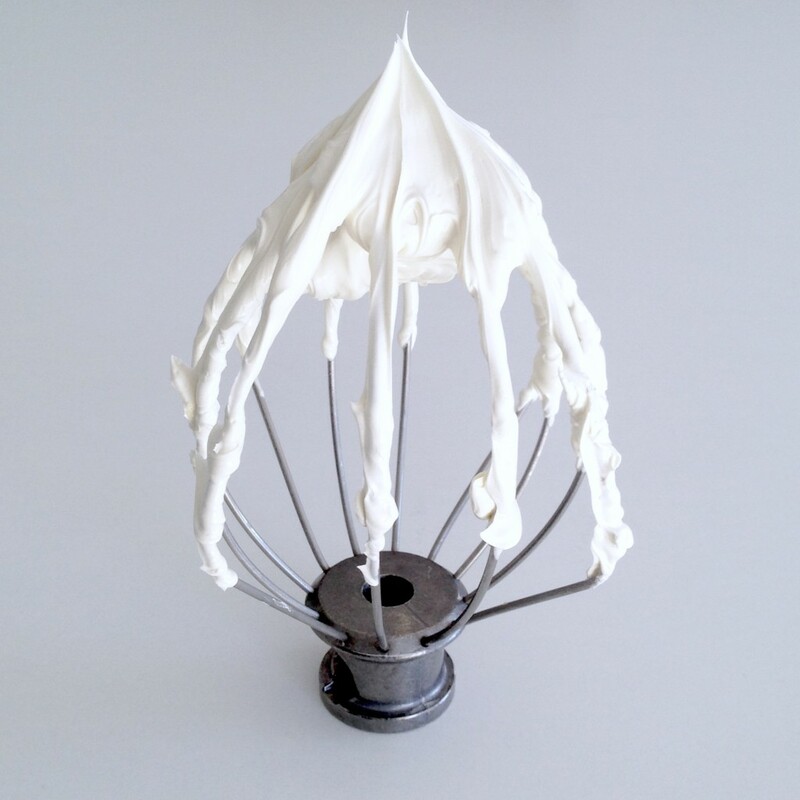 To ensure my buttercream is fluffy I whip the butter on a high speed for about 10-15 minutes. This will cause the buttercream to double in size and turn white in colour. This is how you will know you are ready to add the icing sugar to your butter. Flavouring the buttercream I only use vanilla bean paste. Vanilla essence and other diluted vanilla flavourings don’t give the same richness as vanilla bean paste. I use Queen Vanilla Bean Paste that now comes in a handy tube. This minimises waste, letting me squeeze the paste straight into my mixing bowl. I am also all for ideas that save washing up…even if it is only one less spoon! The outcome? 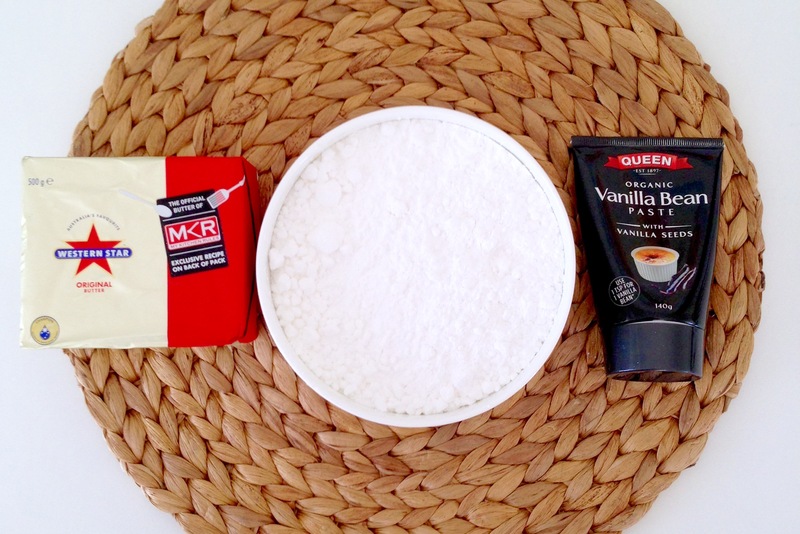 A fluffy, white, vanilla dream! So good you will be fighting to lick the beaters.